When it comes to foundation repair, there are a lot of misconceptions that a knowledgeable contractor can clear up. We’ve put together a few foundation repair FAQs to help you navigate this industry and guide you toward a solution to your home’s foundation needs. Foundation repair has a variety of applications in both new construction and existing structures. We perform foundation repairs on walls that have settled, cracked basements, sagging chimneys, and more. We use the AB Chance helical system that most commonly screws helical piers or piles into the ground to a calculated depth, based on soil, torque, and load. Why is foundation repair necessary? There are many reasons why you might need a foundation repair, but the major cause of foundation damage is water. Mismanaged water flow causes foundations to settle, crack, or have other major problems. In the picture below, water is streaming out of the gutters, dumping right on the ground next to the foundation. Someone has tried to repair the brick mortar several times because that part of the house was continuing to settle — a direct result of water coming off the roof. Where is foundation repair done? We have successfully completed foundation repairs inside basements, along the outer wall of homes, and on new construction before a building is even present. We have equipment that can be used both inside and outside, depending on the problem location and the best method for repair. Foundation repair is generally a non-invasive process and can be done in small spaces if necessary. 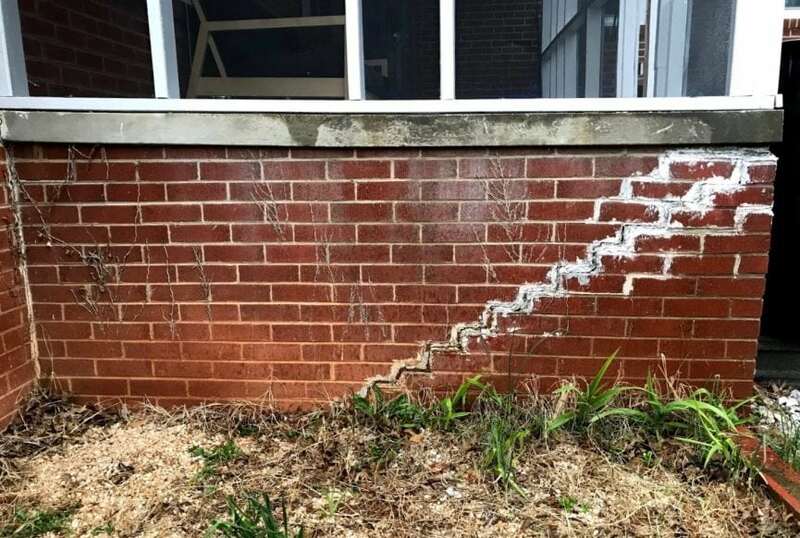 When is the best time to schedule a foundation repair? It is best to identify and repair a foundation problem as early as possible. Untreated issues can lead to further damage in the future. While some repairs can take a day to complete, others can take much longer. We can give you an estimate for how long it will take, and give you a timeline of when work will start. Foundation repair can be done year round, so it can never be too soon to get an estimate. Who do you call for foundation repair? 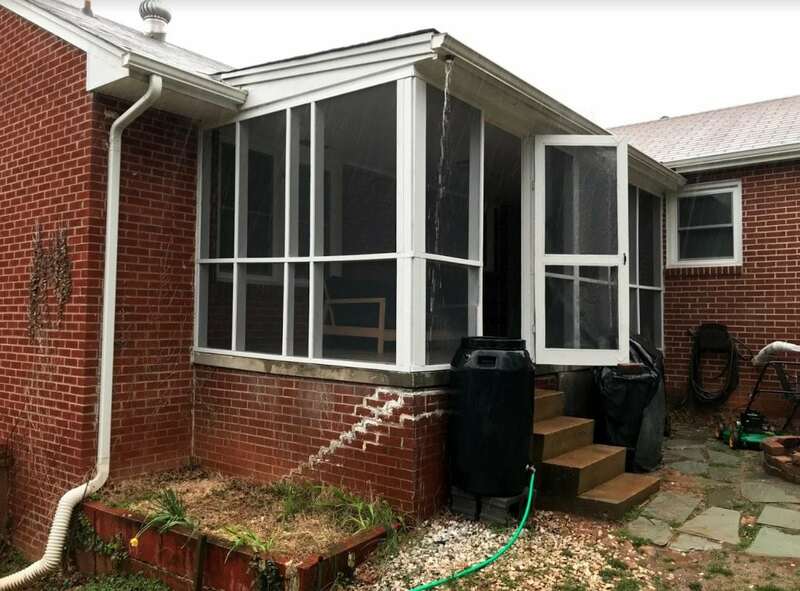 There are quite a few companies claiming to offer foundation repair, but only a few who use quality products and a proven system that actually works long term. We are the AB Chance certified dealer for Central Virginia, using the best the industry has to offer. Our helical piers are American-made and have a great success rate. Call us at 434-293-6724 for more answers beyond these foundation repair FAQs. We’d be happy to give you an estimate on your foundation repair project! We’d love to hear from you! Contact us today for an estimate by calling us at (434) 293-6724 or submitting an inquiry through our Contact page.